The first thing to say about the Kepp range of belt grinders is their astounding ability to endure; perfect design and sheer quality of workmanship are the key reasons these Danish powerhouses continue to put cheaper and inferior Chinese brands easily in the shade.. Our founder at Selmach Hugh Bushnell first started selling the Kepp range a quarter of a century ago, at a time when their design was changing the market forever, with their speed and larger surface area compared to the popular table top grinders of the day. 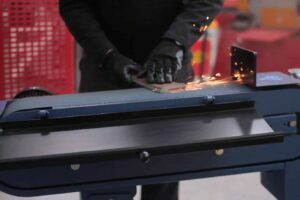 The belt grinder is always going to be one of the busier machines in a workshop and has an incredible variety of applications for fabricators, blacksmiths and the industry in general, whether that is cleaning swarf off materials to ensure a burr-free surface for welding joints, or shaping materials to fit and join more easily. 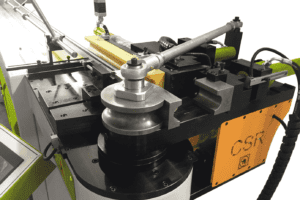 The Kepp belt grinder can do it efficiently and quickly, with the grinding power of fifteen times that of traditional stone grinders and superior polishing capabilities when combined with our bespoke polishing attachment. 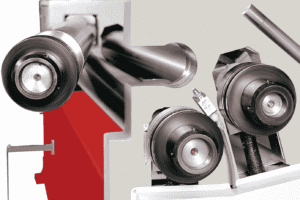 Grinding of course can be a messy business but the Kepp range eases the issue more than most, with the standard collection box taking care of between 30-40% of waste. However we can supply a dust extraction attachment that boosts that to around 50% or we can even double the extraction on both the front and back wheels to increase the collection of dust to an impressive 70%. A ribbed front wheel which increases safety dramatically allowing that greater pressure to be applied to any point of the belt without risk of it effecting the belt tracking which could move or slip and potentially cause a injury. A sprung loaded belt release handle to maintain tension and a belt checker making sure the belt is always in the correct position and tension. The Kepp 75 and 150s is an almost impossibly powerful machine for its size, capable of creating a 50mm radius in 12mm steel plate in a staggering 10 seconds and extremely powerful grinding without any slowdown, no matter how much force is applied to the belt. 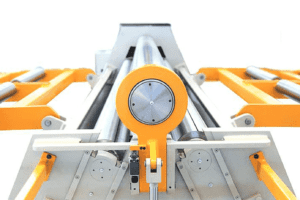 For further information about the Kepp 75 or 150s, or any of the other Kepp belt grinders in our range, as well as the selection of different belts and grits we supply for them, get in touch today.